How long have you had your bed? If the answer is more than 10 years, then it might be affecting your quality of sleep. Reports show that beds deteriorate by as much as 70 percent in a 10 year period, offering less support and increasing the risk of neck and back pain. If you think it’s about time to buy a new bed, here’s everything you need to know about the types of mattress available. The type of mattress you choose for your new bed should be based upon your own personal preferences, and any physical issues that you may have. Some mattresses have been specially designed to help reduce symptoms of common conditions, helping you to sleep better. A traditional spring mattress uses metal coils to provide support and, while they may not always be the most comfortable, they are very cost effective – you can purchase a double mattress for under £200 in many stores. Spring mattresses are great for kids rooms, spare bedrooms, and guest rooms. Memory foam mattresses use high density foam that moulds to the body to relieve pressure, reducing the risk of pressure ulcers. Memory foam mattresses are perfect for those at risk of ulcers, such as people with mobility problems, the elderly, and those with underlying health conditions. 58 percent of allergy sufferers find their symptoms are worse in the bedroom, and that’s because mattresses tend to harbour common allergens like dust mites. Hypoallergenic latex mattresses are treated with probiotics that release good bacteria and reduce the risk of allergies being triggered. For many people, a medium mattress is the perfect choice, offering a good compromise between the ‘give’ of the mattress, and body support. Soft mattresses tend to have much more flexibility and conform to the body shape, while firm mattresses have less ‘give’ in them, providing greater support. Specialist orthopaedic mattresses are a more exaggerates version of a firm mattress, focusing on supporting weight-bearing areas. These mattresses can really help people who suffer with joint pain. Does mattress size matter? Yes! 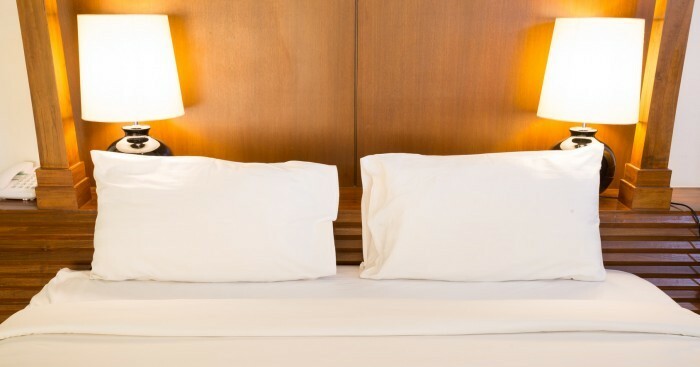 According to the Ergonomic Pilot Study of Bed Size and Sleep Quality, couples who sleep on larger mattresses tend to sleep much more soundly than those snuggled up close on a smaller mattress. There’s something to think about when buying your next bed! It’s very important to carefully consider which type of mattress would be best for you before making a purchase. The association between sleep quality and mattress is often overlooked, but researchers suggest that the right bed could be more effective at inducing a good night’s sleep than sleeping pills! Our handy guide will help you find your perfect mattress.